Communication skills are regarded as a core competency for peer supporters that engage patients in chronic disease management, setting the foundation for many peer support activities. Effective communication skills directly enhance the ability of peer supporters to deliver two key functions of peer support: assisting peers in daily self-management, and providing social and emotional support, and indirectly benefit the other two functions. The first step in establishing a peer relationship is building rapport. 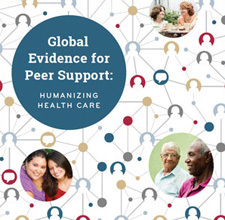 Over time, peer supporters earn the trust of their peers, which increases the likelihood that they will accept health education, disclose information, and ask for help. It’s no wonder that many peer supporters are selected for their natural communication skills and then undergo intensive trainings to strengthen those skills. Through our collaborations with peer support programs around the world, Peers for Progress has identified several key issues around the training of peer supporters in communication skills. You can visit our webpage for more training resources. Two basic communication skills that are commonly taught are active listening and sharing stories, both of which focus the natural abilities of peer supporters. Facilitation and coaching, on the other hand, may be new skills for trainees, and are taught selectively in some peer support models. Active listening teaches peer supporters to use open-ended questions, reflect feelings, and provide affirmations while avoiding communication roadblocks. In fact, knowing how to say things is generally more important in a relationship than knowing what to say. And knowing how to say things without judgment, to reflect empathy, is a cornerstone of non-directive support. Storytelling, one of the oldest human traditions, can be personal and inspirational. Through stories, peer supporters can reveal their vulnerabilities and strengths, reinforcing their peer identity and building bridges that transcend culture, age, and social status. In the process of sharing their lived experiences, peer supporters can model positive behaviors without being proscriptive, which can stimulate problem-solving and motivate peers in their own self-care. The only caveat is to balance storytelling against oversharing; that is, watching for peer supporters with strong personalities that may dominate conversations with their own stories. Some trainings include a cursory glance at nonverbal communication, but the amount of time spent on this subject is usually less than it deserves. Up to two thirds of communication is transmitted nonverbally through visual and sensory cues such as clothing, posture, gestures, facial expressions, eye contact, touch, and spatial distances. Considering the fact that changing these behaviors requires greater conscious effort than verbal communications skills, this area definitely needs more attention in future training curricula. After these basic skills, the next level of training focuses on empowerment, encouragement, and building motivation. One approach that has been widely adopted is Motivational Interviewing (watch our recent webinar on MI), which combines several key communications skills into a single package. Another skill is stage-based advising, which matches a peer supporter’s responses to a person’s stage of change according to the Transtheoretical Model of Behavior Change. There is still room for improvement in communication trainings for peer supporters. Enthusiastic and resourceful, peer supporter trainees can nevertheless be overwhelmed by their initial training experiences. 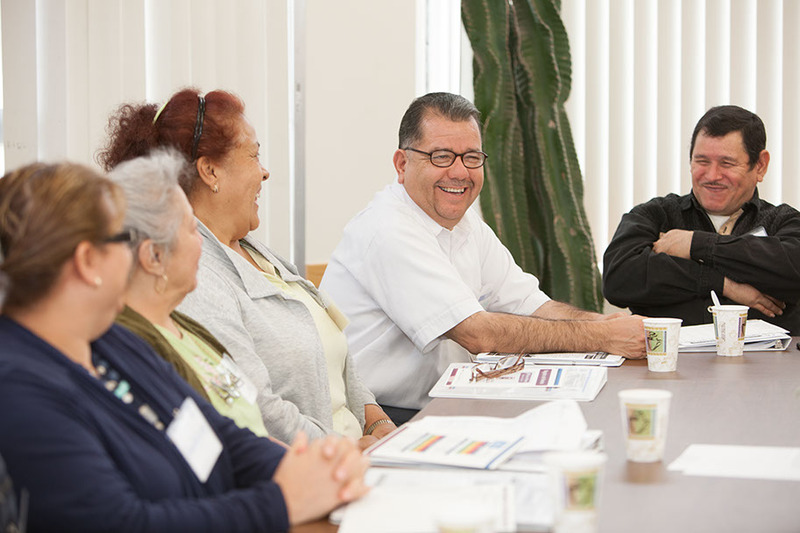 Considered to be non-traditional or adult learners, peer supporters come into trainings with various levels of education. Instead of traditional classroom teaching methods, interactive, hands-on, and participatory formats are widely recommended. These alternative teaching methods are central to most communication trainings. Three keys to strengthening communications training are to 1) properly introduce and frame communication training, 2) introduce communication skills gradually over time, and 3) inspire confidence in trainees’ natural communication skills. Properly introducing and framing communication training is important because trainees typically don’t enter training thinking that they need to learn new communications skills. In post-training evaluations, peer supporters are quick to praise the health education they receive, which is likely due to the fact that they are most insecure about their incomplete medical knowledge prior to training. Indeed, one of the biggest fears is providing incorrect medical information and causing harm to their peers. Without framing the communication training, these modules can confuse trainees and make them anxious about their work. Further, the common approach to training requires that peer supporters complete all of the sessions to qualify for field deployment. However, without many opportunities to practice their communication skills and without any field experience, trainees may not understand how those skills will benefit their work, nor will they have enough practice to integrate those skills into their natural communication patterns. An alternative approach would allow trainees to shadow or assist peer supporters as a part of training to give them a sense of the fieldwork. Under the supervision and guidance of an experienced peer supporter, the trainees can practice their skills in a real setting. At the same time, the communication training sessions can be spaced out over time to gradually teach skills that increase in complexity. Well-established peer support programs, in substance abuse recovery and mental health for example, may already have the capacity to implement this type of in-the-field training approach. The program provides a setting for in-the-field learning. Program participants supply a pool of candidates to serve as peer supporters. As participants, they already have some experience with peer support and know what they should take away from the training. By strengthening communication training, we enhance the ability of peer supporters to fulfill the four key functions of peer support. And hopefully, this will lead to improved program outcomes and demonstrate the true potential of peer support.